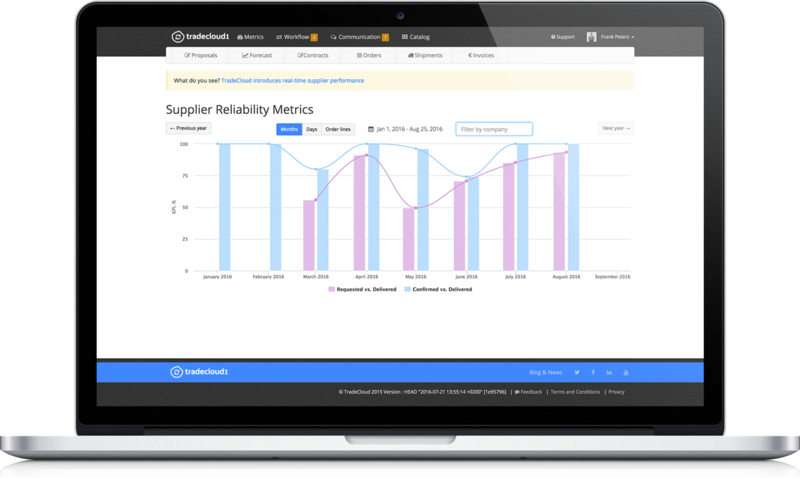 Tradecloud offers multiple modules for automating your purchase processes. Typically users start with Purchase Orders and then extend processes. As a buyer, you can share purchase orders directly and automatically from the ERP system through Tradecloud to your suppliers. Suppliers can then confirm the orders by number, price and delivery time. Changes are directly adapted to the ERP system. Suppliers are kept informed of what’s still open. Everybody looks at the same information. Ensure suppliers have access to future material needs. Provide suppliers with more information so that they can also better organize their own process. Share material requirement for the next 12 months. 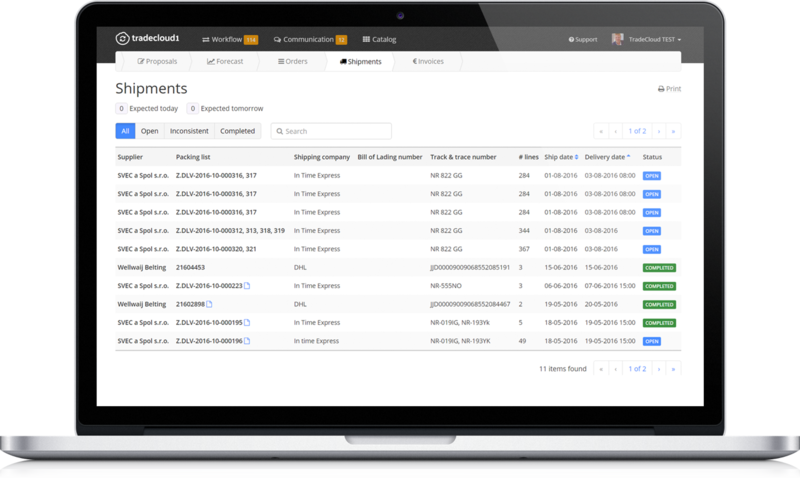 Get insight into inventory at different locations.